WELCOME to the World's Biggest Seafront Airshow! 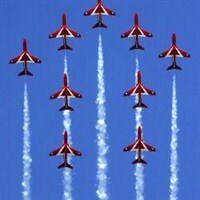 Airbourne is the biggest seafront airshow in the world! The Eastbourne International Airshow, the world's biggest free seafront airshow,featuring RAF and oversea military aircraft;one of the highlights is a display by the world famous Red Arrows.